Magdalena Solé, born in Spain and raised in Switzerland, is now a New York City based photographer. Profoundly effected by her experiences photographing in Tohoku, the hardest hit region of Japan where the Tsunami occurred, she returned several times. 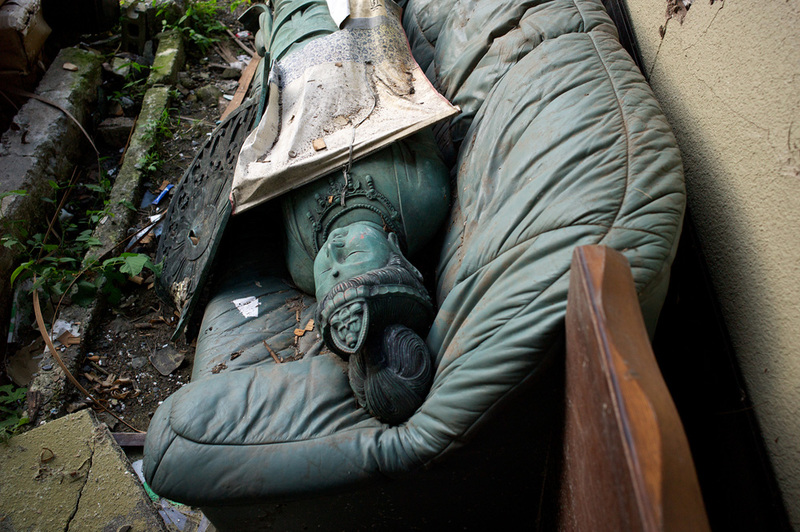 I spoke with Solé for La Lettre de la Photographie about this work. 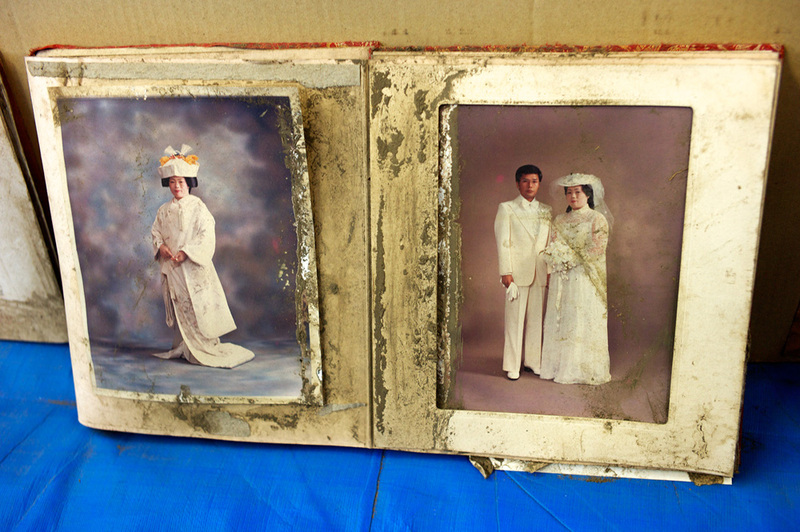 EA: What motivated you to photograph in Japan after the Tsunami? 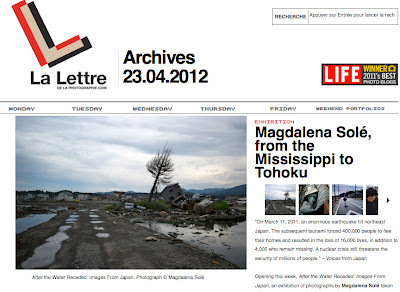 Magdalena Solé: Since I first visited Japan in 1991, it has become my spiritual home. I have traveled and photographed there many times. 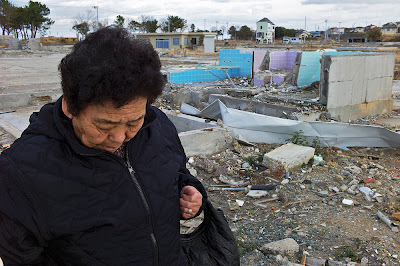 Before the Tohoku disaster, I photographed in southern Osaka in a tiny area called Kamagasaki. During Japan’s economic boom years the district attracted men from all over Japan looking for construction jobs and a way to remake themselves. Today, Kamagasaki, feared by the rest of Japan, is an area for the unemployed and homeless, virtually all of them male mostly in their 60s. Though shunned, they project the core values and vitality of a polite, respectful, highly organized Japanese society. Tues – Fri 12 – 5 p.m. Thurs's, 12 – 7 p.m.
Dean Martin was right and i feel strangly touched by viewing these pictures. 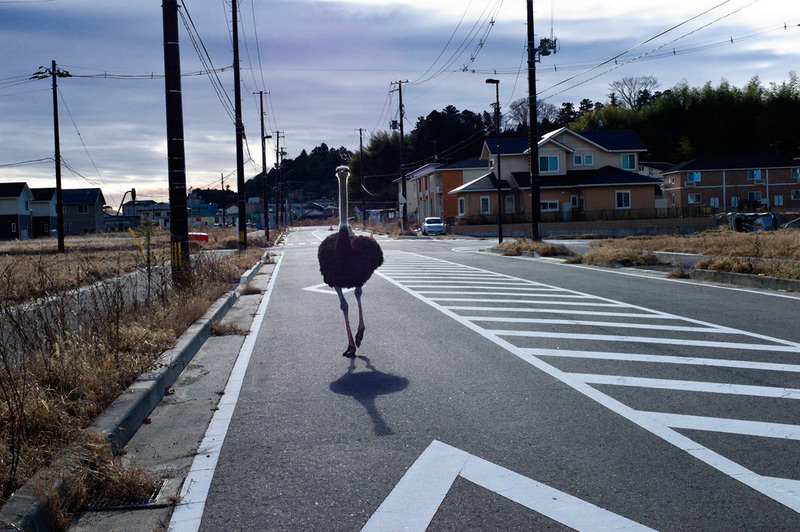 On the one hand it feels sad and unhappy, but on the other hand, the photo with the Bird, a little bit freedom. On the background of the situation, the photos are greatly done.